You can also create your own form with different controls. 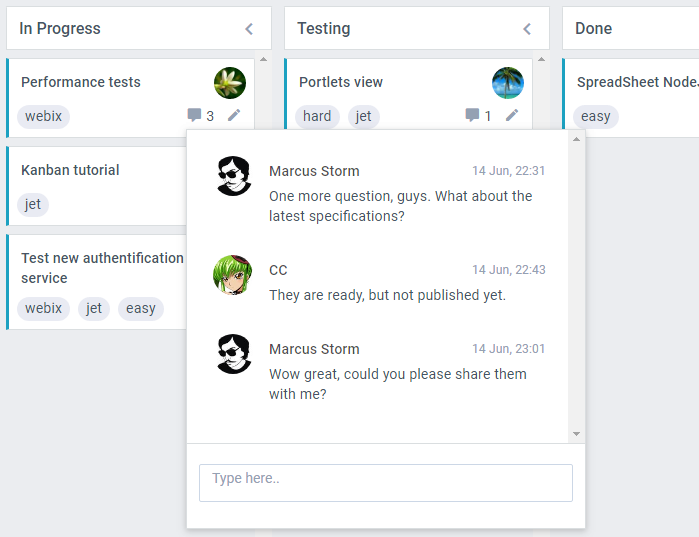 For details, go to Kanban UI Editor. point to the tags by their IDs within the card data items. 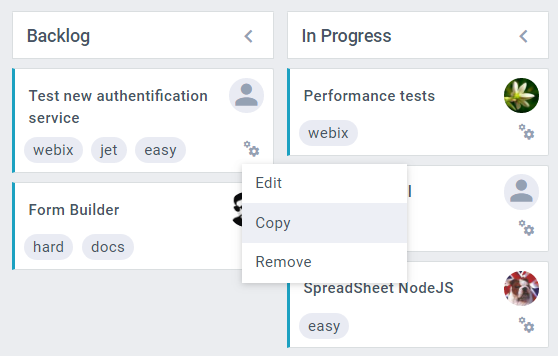 Tags can be added to cards in UI with the Kanban editor. Note: Inline tags within data items are supported as well. point to the colors by their IDs within the card data items. 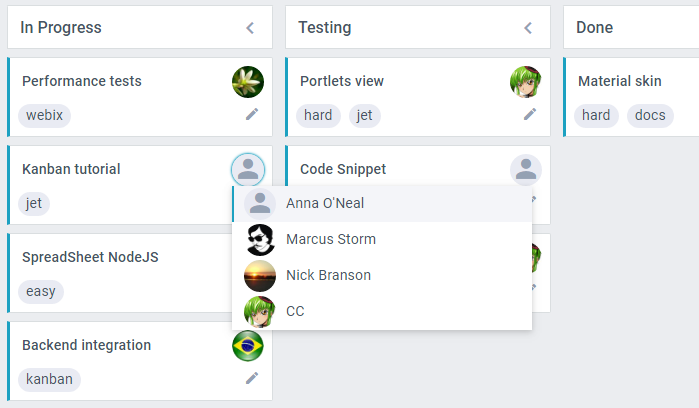 Colors can be assigned to cards in the UI with the means of the Kanban editor. You can add and visualize card comments with the Comments widget. 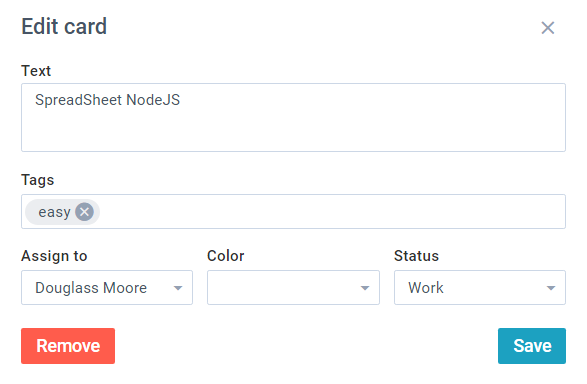 Tasks can be assigned to users in the editor. You can also create a quick way to assign tasks by attaching a dropdown list of users to the avatars. Remove - opens a confirmation dialogue for removing the card. When you work with Kanban, only the modified cards are re-rendered. There is one more way to enhance Kanban performance.